Despite relatively steady rental prices in Brooklyn overall, Crown Heights rents jumped almost 8 percent last year, a new real estate report found. The cost of the average market-rate rental in the neighborhood and nearby Prospect-Lefferts Gardens rose 7.9 and 7.8 percent, respectively, between February 2015 and February of this year, according to data compiled by MNS Real Estate. The company detailed rental trends in the borough in their monthly report released Thursday, showing rent prices in Brooklyn didn’t change much last year; average rent in Brooklyn rose just half a percent from $2,700 in February 2015 to $2,716 in February 2016, the report found. In particular, Crown Heights studio prices spiked; the category had the largest price increase of any neighborhood studied in the report, rising more than 9 percent from $1,537 to $1,681 in a year. On average, studios in Prospect-Lefferts Gardens cost $1,486 in February of this year, up 6.14 percent since 2015. 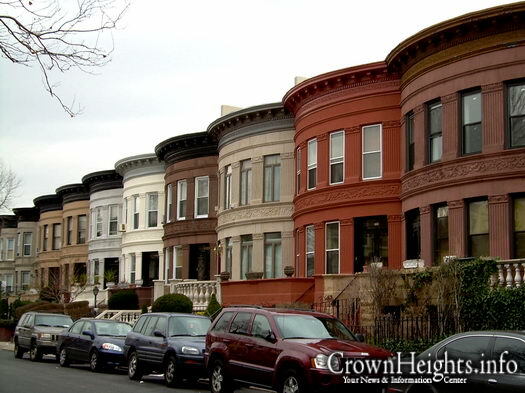 The report found an average one-bedroom apartment in Crown Heights and Prospect-Lefferts Gardens cost $1,940 and $1,742 last month, respectively. Two-bedroom apartments in those neighborhoods cost $2,430 and $2,180. The MNS report compiles pricing data from both public and proprietary rental listings, excluding properties priced over $10,000 a month, the company said. The report surveys 18 Brooklyn neighborhoods in total, from Greenpoint to Park Slope and excluding nearly all areas south of Prospect Park with the exception of Bay Ridge. See the complete market report here. 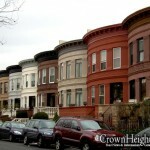 Have Rental Prices Peaked in Crown Heights? Isn’t the only conclusion that we are witnessing Jews taking sickening advantage of fellow Jews in a way that would make G-d and the Rebbe weep? Shame on Crown Heights and those who are taking advantage of the young families who just want to live in the Rebbe’s Shechuna! How is this different than just flat out charging per-person admission to 770 and the Ohel? Friends, bear this in mind when in comes time to marry off your children: nearly every family in Crown Heights is BeChezkas Ganev, because they either steal from young renters, or are on the other end of it and have to steal from the government in order to makes ends meet. its a shame because i really agree with what you say about jews taking advantage of other jews, however i take strong offense with your characterization of “crown heights” being the issue. 1) you say “shame on crown heights” NO shame on 5 – 10 individuals in crown heights how can you say loshon hara about 4 thousand familys?! 2) you contradict your own argument you say that alot of famaliys need government help to “make ends meet” but then you call the “ganavim?? if they need the programs to make ends meet why are they ganavim THAT’S WHAT THE PROGRAMS ARE THERE FOR!! In Crown Heights, that in part thanks to the Sperlins and Wilhelms. Part? They are the cause of the problem. A mashpia should never condone loshon hara no matter how true it might be! to #1 and #2 Please do not show your jealousy. please fargin other people. they work for this you just sit and talk. rent is up all over. cost of houses in CH is very high so rent needs to go up. Taxes, water gas electric etc. went up. Tuition is out of control. so do not just attack one aspect. yes, you need a lot of money just to make ends meet. why not attack the local stores. people are buying the expensive (not the cheap) shoes, sheitel, children’s clothing. going on vacation. You clearly have no idea how things work. we need to stop these people who have no heart for our shechuna. making it impossible to buy and do DAMAGE TOOO! As renters who don’t want to pay high rent, you do not know or don’t care about the costs involved in running a building. Property taxes have gone up tremendously, as have water and sewer charges. In addition, in many properties, there are many rent controlled and rent stabilized tenants. These tenants often pay only $100-$200 a month in rent! In the winter, it costs about $300 a month just to heat(!) each of these apartments! Add on all the other expenses and owners are losing a fortune from these free loaders. Because of that, there are less apartments that can charge higher rent, and the cost gets passed on to you. In the future, please refrain from bad mouthing people when you don’t know their side. BECAUSE THE REBBE IS NOT HERE, THESE….. THINK THEY COULD DO WHATEVER THEY WANT!!! THEY ARE CHASING EVERYONE OUT OF CROWN HEIGHTS!!! There is absolutely no reason for a young family to struggle to com up with ridiculous rents and be stuck in a 1 or 2 bedroom apartment with 4 children. There are amazing homes for sale in the 5towns/valley stream area within walking distance to a chabad shul and free busing to crown heights schools. Over 50 children bus daily and many family’s are moving in. Houses in the 5 Towns are VERY expensive too! Expect to pay around a million dollars for a small one-family house that needs work, has no income from the house (you cannot rent basement or even garage). Don’t forget that kosher food costs around 15% – 20% more than in the city. Preschool costs significantly more than in CH. Add travel costs to the city by LIRR or gas. And the local shul charges membership and seats. Do the math and CH seems just as affordable or equally unaffordable. Five towns costs about 650 for a nice home, a small fixie for 500. Please check trunks or Zillow before you make things up. Please provide DETAILS. If there is such houses…I am looking seriously to buy and didn’t find anything even near that price range! Maybe I am not looking properly, so please provide details! It is true. You can get a really cheap house…in a flood zone, especially the ones that got flooded in Sandy (is that what you call a fixie or a swimming pool in basement?). But a normal location, safe from flooding and not next to a sewage plant (you will get used to the smell)…that cost big bucks. But some houses are cheap because they are directly under a flight path…what? Can you hear me? What did you say? Every 10 seconds a jet roars by 50 feet above their roof. (Don’t worry, after a few weeks you won’t hear them – you will be deaf). Plus as was said by others, there is no rental income. That is, even if you have a usable basement (higher than 5 feet) which many houses don’t have, you still can’t rent because the city will close you down. Oh yes, and watch out for the high tax zones where property tax is sky high. Can someone go to a store and demand that their prices are too high and that they have to give it them at a lower price. No, you either pay or you shop somewhere else. There has become this sense of entitlement that property owners have to subsidize rents. If you can’t afford to live in CH then move to somewhere more affordable. Rentals are a business too! You don’t go complain to the utility companies and say you have to lower rates on electricity because they are too high. On top of this, property owners pay for a lot of things the renters don’t have to pay for. For example, they pay the mortgage on the building, utilites, property tax (which by the way pays for the public education funds that many renters benefit from), city, state and federal taxes, repairs, etc. Yes, rents are sky rocketing but so are costs and if someone can’t afford it, they have to move somewhere where they can get a better job, rents are lower and they can afford them. If you want someone to blame, you can blame all the city and state regulations that prevents building and increase costs for the landowners and therefore inhibits supply and causes rents to skyrocket. If the Rebbe said the Geula is here 25 years ago, there shouldn’t be anymore Jewish “tennants” and rent should be decreasing NOT increasing. I refuse to consider myself a “tennant.” It’s a parasitic or slave/master relationship. I am helping my neighbor to pay her mortgage with little to no benefit. No wonder the Moshiach tarries – Jews are oppressing one another with high rent in Crown Heights. please provide not “many” but just ONE address of a “large” home under 700 in the 5-Towns!! The only houses under a $1 million are those that no one wants. They are sitting on Zillow for months, after reducing the price, waiting for some sucker from Crown Heights to buy them. The decent houses start at $1 million and they are bought up for full asking price as soon as they are listed, usually as cash offers and no inspection. If you want cheap housing, you need to go FAR from NYC (like the mountains). Then be prepared for other sacrifices: chinuch, companionship etc. FAR – like Far Rockaway? In the 5towns you will pay much higher property taxes. Although you can find a decent home for 700k you have to add to your mortgage about $8-10k in property taxes. You can get a house in Detroit for $500! Sixty-two thousand properties have faced foreclosure in Detroit this year over unpaid taxes. About half will likely be auctioned for $500 apiece (all prices U.S.) this fall. Many will be sold at around $1,000. True most of these houses need fixing but you can’t beat the price! That is enough affordable houses for all of Crown Heights!! Get out of this corrupt city as fast as you can. Most people who get government programs lie to get them. Pay off books etc. I know from couples who are on welfare and own homes. Rents for slums crazy. Move,get a normal job and pay taxes like the rest of the world. My daughter in CA mortgage is less than a 1 bedroom slum in CH. There are good yeshivas in many cities and your kids won’t grow up feeling entitled. You can move out, and become an official “out-of-towner”. The title “out of towner” comes with issues for shidduchum, acceptance as a deserter, attitude from us about you etc. If you want the bracha it is kan tziva es habracha! You ain’t right. No need to say more. You left and good riddance to you.